I have a nice mix of plugins for you this month. There are plugins that deal with social media and user engagement, plugins that improve your experience with widgets and allow you to completely customize the look and feel of your site on a page-by-page basis, and much more! My selection this month enables you to add some really interesting and useful options to your site. Enjoy! This plugin creates a form that your site users can email to their friends inviting them to register on your site. It’s a useful way to grow your site membership through word of mouth and a great way for your current users to easily promote your site to their friends. Note that in order to use Invite Friends to Register you must have registration enabled in your WordPress settings. PHP Code for Posts allows you to add custom PHP code to individual pages, posts, custom post types, or even sidebars on your site. This is done without having to create new templates, or alter the existing templates making the whole process simple. You can create code snippets and then add them to your post, page or widget using custom short codes. WP Job Manager is an excellent lightweight plugin that gives you job board functionality on your WordPress site. It allows both registered users and guests to post job listings directly to your site, categorize those jobs and manage their status on the site. 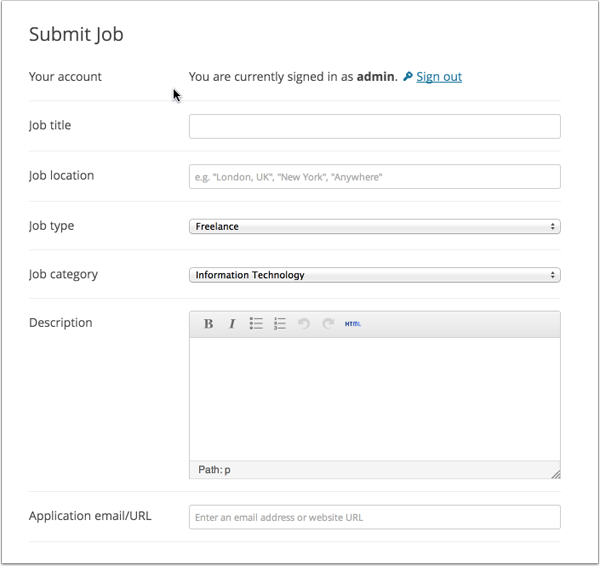 It has several other features including linking to a website to apply for the position and email notifications. If you are looking to set up a simple job board on your site, this is a great place to start. Widget Importer & Exporter is a very useful plugin for moving WordPress widgets from one site to another. The plugin is especially useful for developers that plan on creating multiple sites with a standard setup of sidebar widgets. It is also a very useful tool for backing up widgets before you make any significant changes to them. This is a simple, lightweight plugin that displays your social network icons in your sidebar in the Metro style and links them to the appropriate social profile. It includes Facebook, Twitter, Google+ and RSS by default, but also gives you the option to include your profiles for LinkedIn Youtube and Pinterest as optional tiles. 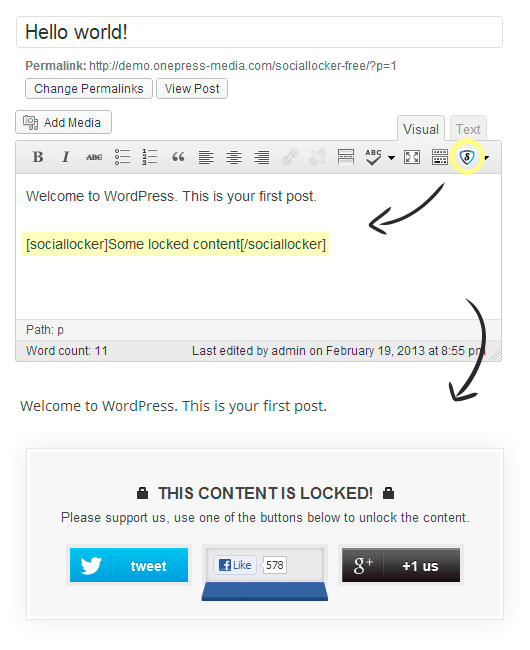 Social Locker by OnePress is a very useful little plugin to make your readers engage with the site using social media. This plugin allows you to lock part of your content and only open it up to the reader when they click on one of the social sharing buttons. Facebook Like, a Tweet button and Google+ are the standard options available for sharing. This shouldn’t be used on every page or you risk driving readers away, but it can be very useful on those pages of high value to your readers. It remembers the users who have already unlocked your content so it won’t force readers to share it socially after the first time they do so. This plugin is very useful if you share videos on a regular basis. With one simple click it allows you to embed videos from numerous providers. As well as making the embed process easy it creates them as fully responsive videos in all sizes. The plugin also shows the videos as thumbnails and opens them in the Colorbox lightbox display making it a clean viewing experience for your site visitors. Crowdfunding has become extremely popular in the last few years with sites such as Kickstarter and Indigogo appearing on the scene. The Crowdfunding plugin by Astoundify lets you create crowdfunded projects on your own WordPress site. The plugin integrates with Easy Digital Downloads so that you can use multiple payment providers, including PayPal and Authorize.net. It is also built in the same manner as other crowdfunding sites so that pledges are collected from backers but no payments are taken until the campaign reaches its goal. If you ever thought about crowdfunding a project but didn’t want to use one of the established sites, this plugin is perfect for you. WooSidebars by WooThemes is an excellent plugin for customizing every widgetized area on your site. 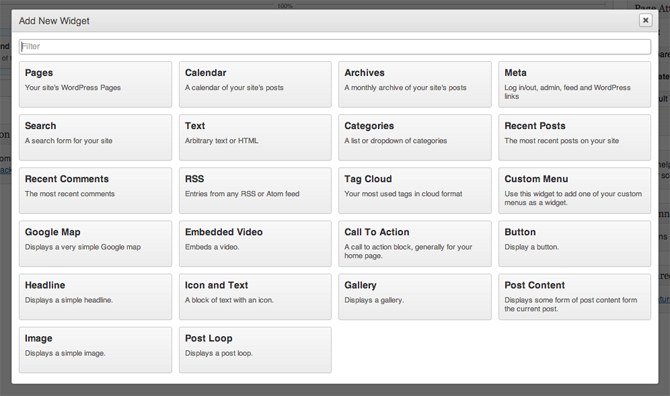 The plugin lets you change every widget on each individual post and page. This means that each sidebar can be contextually specific to each piece of content you produce. You can create and modify these areas manually or you can use the powerful conditional options that are built into the plugin. It’s a fantastic piece of software that can really enhance your site. Page Builder is a remarkable plugin. It gives you an unbelievable level of freedom with your page designs and does so with a point and click interface that is remarkably simple to use. The plugin allows you to create a completely responsive column layout on your pages then insert any of the widgets you have available for your site into these columns. As well as supporting most third party widgets, the plugin comes with useful several pre-installed widgets. They include a call to action widget, a video-embed option, and testimonials as well as several others. It really is an excellent plugin that will help you create interesting and useful pages on your WordPress site. I highly recommend you download it and take a look at it for yourself. Wow amazing list, I like to use wooslider. It’s awesome. Looking for a WP plugin and found it! Thanks. By far the best article I found on wordpress plugins! Nice collections of Free WordPress plugins. I liked the OnePress Social Locker, and Woosidebar plugins. Other plugins are good too but you know, using too much plugins can reduce the page speed of your blog. Always great to discover new plugins. gonna try page builder and see if it is that good. You saved the best for last. Page Builder by SiteOrigin is a game changer, I will try it ASAP with the genesis framework. I hope there is not conflicts. Greg Priday is a bloody legend. Thank you, kind sir! I’ve heard from a few people using it with Genesis and there don’t seem to be any conflicts. I’d be glad to fix things up if there are any problems though. Thanks for stopping by Greg, and cracking work on the plugin! Great list this time around guys. Page builder is nice one. Really nice and cool plugins. Thanks for coming up with this list. These plugins will surely add functionality to any WordPress sites. Thanks for the list. Been looking for plugins like Widget Importer. Thanks for sharing this list, I will going to use Page Builder.. I got one useful among them is OnePress Social Locker….. Cool! I think I like Social Locker and Page Builder. I just realized that there are plugins I’ve never heard of. Metro Style Social Widget rockz. I’m really looking for a beautiful complete social widget including RSS feed. OnePress Social Locker seems to be a cool plugin. I was wondering about the first plugin in the list “Invite your friends”. I don’t see much potential in that way as hardly any user will invite their friends to visit a blog by mail. May be I am wrong 😛 . I disagree with you Jakes on the subject of ‘Invite your friends’ – I have a substantial mailing list of special interest users who have registered interest through related social media sites like Twitter and Facebook.Also one might add a new feature like a poll to one’s website that could benefit from an invite. I have heard a lot about content locking, I gotta try it on a blog for increasing Facebook likes. Thanks for the detailed information. Woosidebars looks promising…Any idea of it’s effect on resources??? Thank you very much for featuring my plugin Metro Style Social Widget, Tom. I am so Happy!!! Hey Tom, thanks for sharing Widget Importer & Exporter. I’ve played with WooSidebars and found it to be sharp. It’s been neat to see the Astoundify’s Crowdfunding plugin take off too. page builder still is buggy. Try actually using it on a page. When you try out layouts with page builder you actually need to add a block just for content or you existing content might not show up. Sometimes it wipes out your content completely and replaces it with its own. This is a huge minus. Hi Sachin. Page Builder is actually a content creation plugin that’s meant to replace the content editor. It replaces your post content with your page builder text content so that search and SEO plugins have a way of seeing it. You can disable this behavior though. Just navigate to Settings > Page Builder. And to Tom, thanks so much for featuring Page Builder!